Bringing Your Dog To Work? Can You Afford The “Bite” Of Litigation? 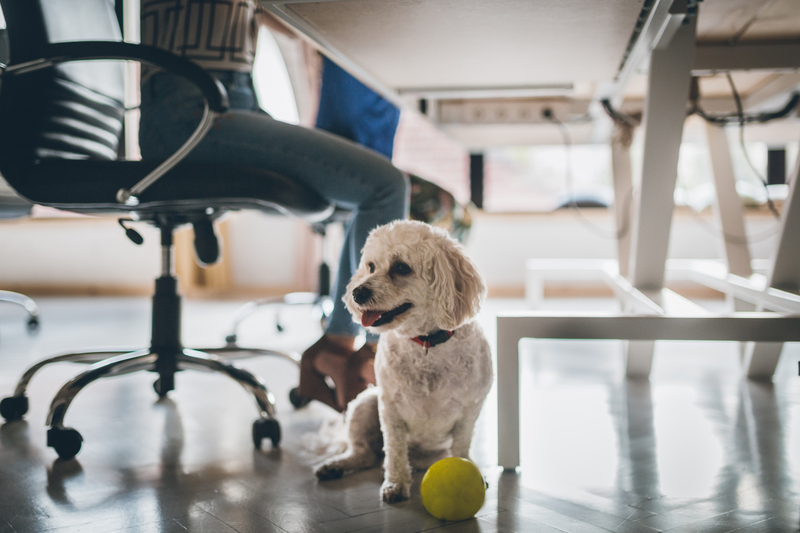 Home > Animal Liability Insurance > Bringing Your Dog To Work? Can You Afford The “Bite” Of Litigation? Some say dogs at work reduce stress, increase productivity, and create good public relations with customers. Just ask Google, Zynga and Ben & Jerry’s. Others beg to differ. While the jury is out on whether or not dogs improve the bottom line, there is one thing that everyone can agree on — there are liabilities to bringing dogs to work. What if your dog misbehaves and takes a disliking to a colleague or another dog at work, or worse — to a customer onsite? What if a coworker is not on the same page because he/she is allergic to dogs. In the U.S., as many as 3 in 10 people with allergies have allergic reactions to cats and dogs. * Consider this: according to the Americans with Disabilities Act of 1990, an animal allergy can be considered a legitimate disability. If your co-worker is huffing and puffing and just plain miserable around your dog — and you’re not considering the health condition of a pet-allergy sufferer — it could amount to discrimination against the disabled. While your employer should have insurance in place to cover any mishap to employees or customers on premises, the dog owner can be held liable as well. Of course, you want to be able to bring Fido to work, but at what cost? Can you afford the financial “bite” of a lawsuit? Before you head to the office, be sure you’re covered with an animal liability insurance plan from XINSURANCE, powered by Evolution Insurance Brokers. We have decades of experience writing insurance for dog owners and can customize an animal liability insurance protection plan and insure any breed of animal, even a pet with previous incidents. If you want to bring your dog to the office, bring XINSURANCE along with you. It’s peace of mind for you and your four-legged friends.